Indulge your senses in a divine gastronomic treat. The variety of caviar products we offer are comprised of a distinct Caspian character, ranging from delicate to powerful, textures that delight the palate, tastes and aromas that excite the senses and aesthetic qualities that make our caviar the jewels of the Caspian Sea. 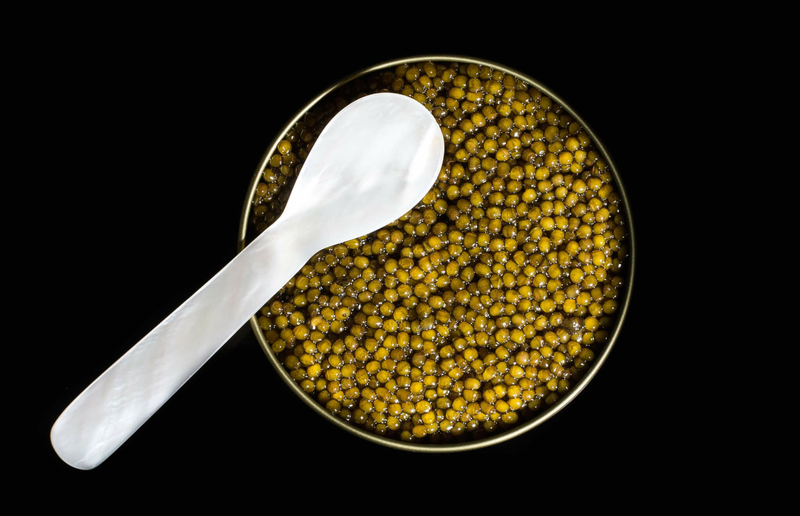 With our Beluga Caviar, from the Iranian Beluga sturgeon, the most expensive caviar on earth, you will experience an angelic blend of flavor. Evocative overtones are delicately tempered by a smooth buttery taste and made perfect by a hint of Autumnal walnut. Our Privé Beluga consists of large hearty eggs of glistening grey and their velvety feel make for a truly rare and sensual experience. A rarity of mother nature, our Almas caviar is a seductive white, aromantic, with a uniquely smooth texture. Traditionally the preserve of Shah’s, Almas’ personality is rich and complex, offering a distinct feel of Iran and the most elegant caviar. 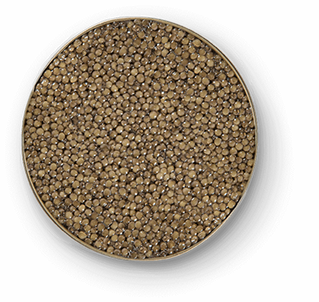 Simultaneously blending the feel of youth and maturity, our Sevruga caviar is resplendent, offset by a bright grey roe. A fresh sea aroma consumes the senses and a smooth yet crunchy texture gives a playful feel to this most popular of all sturgeon caviars. Discover spirited buttery overtones, contrasted by an ebullient nutty flavor that creates a vivid sensation on the tongue. A pearlescent medium to large grain rendered in golden brown, our Osetra from the Osetra Sturgeon is the embodiment of refinement. Ideal for lovers of subtlety and pronounced flavors equally. 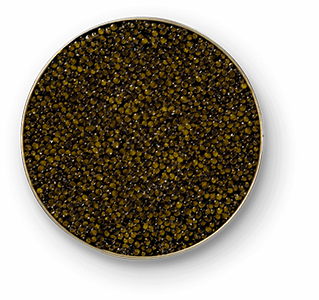 A true embodiment of black gold, our sturgeon caviar comprises a wholesome and individual taste experience. This black caviar is bursting with Omega 3, minerals, nutrients and vitamins, you will fall in love with its delightfully scintillating taste. Caviar is not simply a delectable luxury, it is the stuff of legend, something which stretches back into the mists of time. The favored indulgence of Persian Shahs, Russian Tsars and Turkish Sultans, caviar possesses a mystical quality, a touch of ancient mystery, combined with a culinary beauty that is akin to the ambrosia of the gods. The creation of the prehistoric sturgeon, a 250-million-year-old fish that is a unique phylogenetic entity and the largest freshwater fish on earth. The very vision of an ancient beast, like something lifted out of folklore, its home is the nutrient filled waters of the Caspian Sea, where we breed our sturgeons, on the beautiful shores of the Iranian coast, in order to produce the most heavenly and moreish caviar on earth. Iranian caviar has been, and remains so, the king of caviars in the eyes of the world's top chefs and connoisseurs alike. Organically and sustainably bred, our superb caviar, which tips the boundaries of excellence, containing the classic taste, texture and aroma once enjoyed by the likes of Alexander the Great and Tsar Nicholas II of Russia, is the result of careful nurturing and preservation. Our sturgeons are able to grow to maturity, feeding off the rich and abundant minerals that can only be found in the crystalline waters of the Caspian Sea, with its unique bioculture. Both masterful and detailed, the way in which we grade is intricately designed so that we are able to offer you the most exuberant and delightful sturgeon caviar. The grading process has been finely articulated throughout the centuries, masters of the art have honed their knowledge generation after generation, so that they know instinctively what makes the caviar special. We grade our caviar by uniformity size, color, maturity, separation, fragrance, lucidity and firmness. 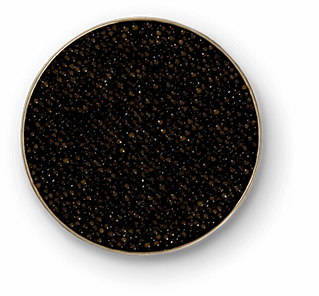 The color of our caviar is specifically graded, with the lightest being 000 and the darkest being 0. The lightest comprise the most beautifully abundant in flavor, texture and aroma. Our grades are specific, so that you are able to experience a sweep of glorious taste sensations. 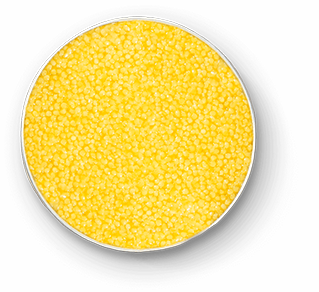 We like to think of caviar as an investment in a mystical, luxurious and unique experience, so when it comes to our caviar price, we calculate it using the above factors and taking into consideration our sustainable and eco-friendly breeding and processing methods. 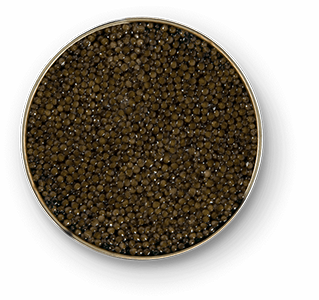 Our freshly sealed caviar is offered in 15g all the way up to 1000 gram tins. Iranian Caviar uses natural waters from the Caspian Sea. The sustainable and natural features of the pure Caspian Sea waters are the native habitat of sturgeon fish and thus an excellent ecosystem that ensures the quality of the most exquisite delicacy. 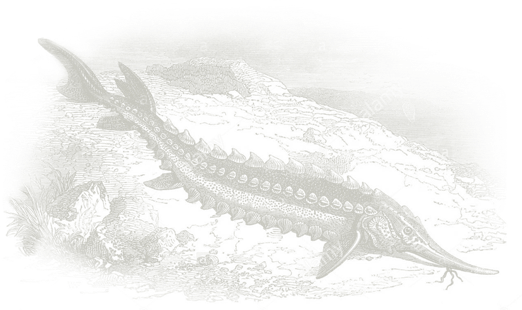 The sturgeon’s roe (eggs) deteriorate rapidly, thus it must be processed as promptly as possible. The eggs’ hardness, found only in freshly caught sturgeons, makes for the higher quality of caviar. The sturgeons that produce caviar are critically endangered, and as a protected species, all production and distribution of caviar is controlled under the Convention on International Trade in Endangered Species (CITES). Caviars such as Beluga, Sevruga and Osetra have been enjoyed for over 3,000 years, by the Ancient Greeks, Persians and many others. The only true caviar, which contains an abundance of vitamins, minerals and other distinct qualities, comes from the Caspian Sea. Iranian caviar is marked by its ancient and seductive qualities, with tastes and aromas that one simply cannot find anywhere else, it is quite accurately described as the stuff of dreams, the result of a marriage between the sublime Caspian Sea and the prehistoric sturgeon. Like the origins of the Persian rug and the historic nation of Iran itself, the origins of Iranian caviar too are shrouded in mystery and have become entwined in the serpentine grasp of myth and legend. Today, Iranian caviar is the most desired, the harmonious blend of the finest gastronomic qualities. Described by the likes of Mark Federman, owner of the legendary New York fish shop Russ and Daughters as “the best caviar experience today.” Iranian caviar, bred amongst the rich nutrients of the Caspian Sea, is hard to find, with so much aqua-farmed caviar, from the likes of the white sturgeon and crossbred sturgeons, where the unique aromatic nuances and vast nutritional values are lost. However, you do not need to look too far, as all of our caviar, from the luxurious Beluga to the resplendent Osetra, is pure Iranian. 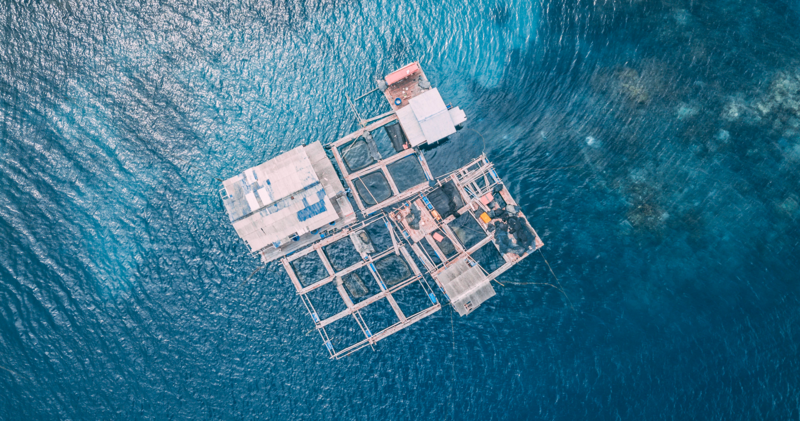 At Caspian Monarque, we are one of few companies in the entire world to breed our sturgeons in farms using waters from the stunningly rich Caspian Sea. Possessing the privilege of being in full control, from reproduction and breeding to roe selection, production and export, each critical stage is overlooked solely by us.